An almost otherworldy sunrise unfolds over the Boulder Flatirons as photographed from the Doudy Draw area. 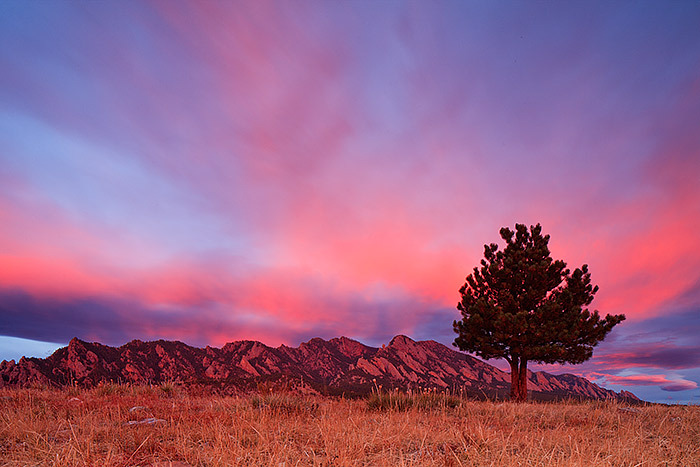 A Ponderosa lone sentinel stands over the Flatirons as the sky explodes with color as a new day dawns. . Photo © copyright by Thomas Mangan.